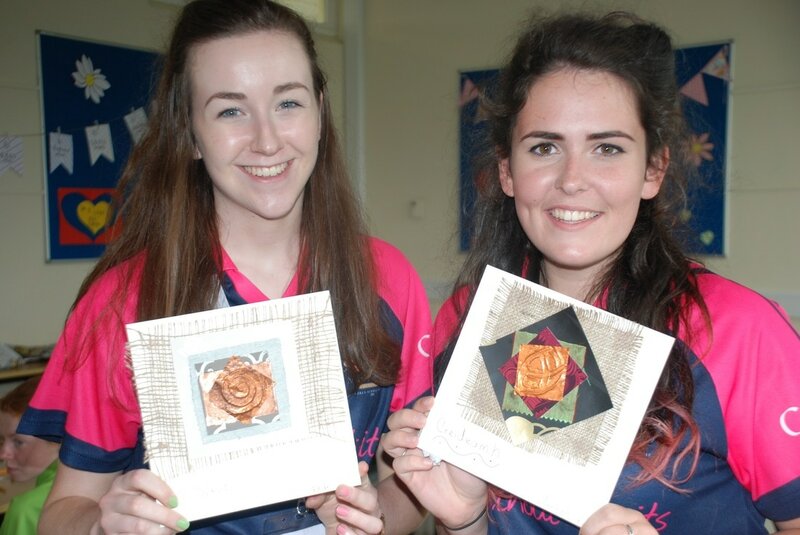 ​Michaela Foundation are currently recruiting enthusiastic individuals aged 17+ to volunteer at their Summer Camp for girls in St. Aidan's Comprehensive School, Cootehill from 24th – 28th July. 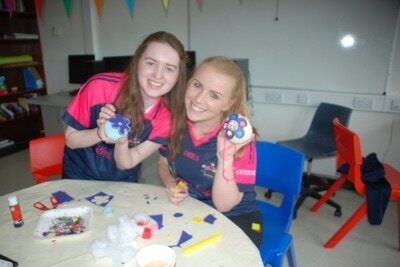 At Camp, girls aged 11-13 will engage in a range of volunteer-led activities based on Michaela Foundation’s five core elements; Fun, Faith, Fashion, Well-being and Fáilte. Most volunteers say that they get a huge amount back from volunteering with Michaela Foundation. Benefits include the satisfaction of giving time constructively, the sharing and gaining of skills and experiences, not forgetting the social buzz from meeting new people. Whilst the positive impact of volunteering on individuals’ self-esteem and confidence is undeniable, operations manager Úna Ní Cheallaigh states that many young people see it as an opportunity to enhance their UCAS or CAO application. Furthermore, with the current economic climate many people view volunteering with Michaela Foundation as a chance to develop their CV and enhance their employment prospects. 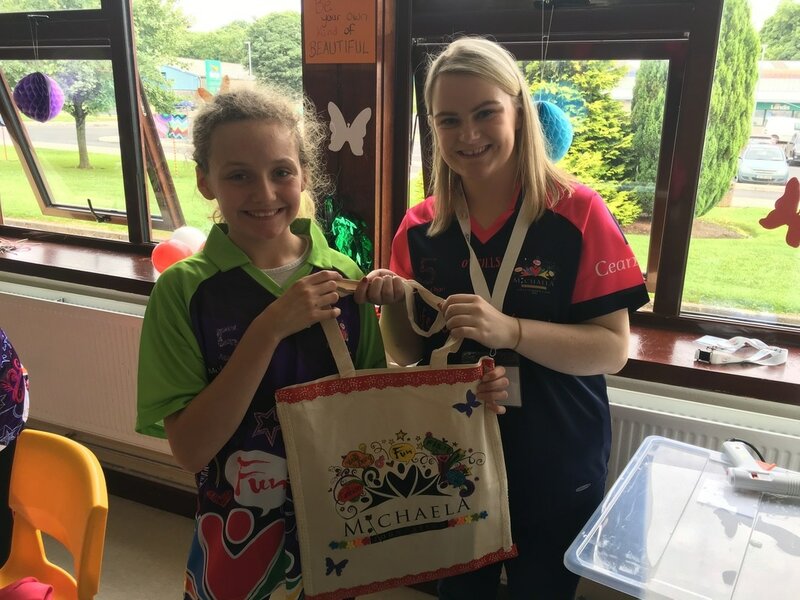 Mrs Mary Ann Smith (Principal of host St Aidan’s Comprehensive School) also recognises the benefits of volunteering upon the student community “The Michaela Foundation Girls Summer camp provides 5 days of themed activities, providing the participants with a fun filled but learning experience. The camp develops their creativity, promotes a positive self-image and enables them to grow in confidence through working together. 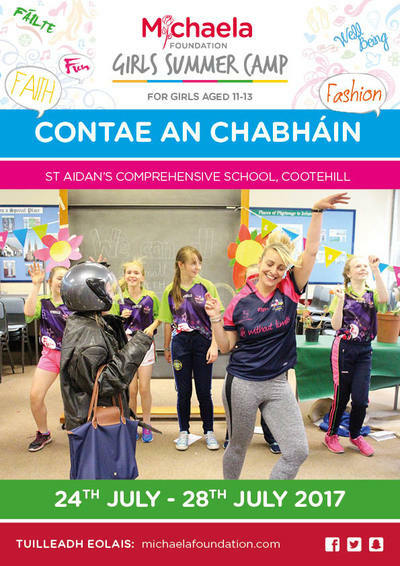 We are looking forward to hosting the 3rd Michaela Foundation Girl's Summer Camp here in St Aidan's. Wishing the camp every success”. Those interested in volunteering should visit www.michaelafoundation.com to learn more about the roles available and to apply online. All volunteers must be vetted and complete child protection training. Further training will be provided for all volunteers. Campette registration will commence online in March.